What exactly is Worship? If you had to write a definition, what would you say? According to Webster's Dictionary - the 1828 version - worship is to "honor with extravagant love and extreme submission". Beautiful words. If we were to worship in this way, what would it look like? I think you would see us serving, volunteering, giving, witnessing, teaching... Notice that all these are action words - verbs. Worship is a verb - an action that we choose to take. It is "living and giving". Giving ourselves back to our God and Creator in all these ways and more. We have an opportunity each Sunday to worship with another action word - singing. The fact that the longest book in the Bible is a book of songs tells us how very important His gift of music and our singing is to our Heavenly Father. Our music ministry here at FBCR is an active part of the worship service. 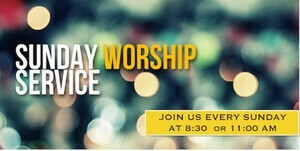 Our mission is to invite into this house of worship the very presence of God. (2 Chronicles 5:11-14) Through music, we strive to establish an atmosphere of worship that pleases our Heavenly Father, allows each member of the congregation to worship on a personal level and prepares the people for the delivery of the Word of God. Our music covers all genres because great messages and inspiration for worship can be found in all styles of music. Our music is fun, uplifting, stirring and thought provoking but always scriptural. Our hope is that people leave each song service with music in their hearts and minds to give them strength and encouragement for the coming week. It is truly a joy as musicians to serve our God and our FBCR Family as we lead in the musical portion of worship each week. Our music ministry covets your prayers as we seek God's will in leading our congregation. Our Praise Team meets for a time of devotion and prayer followed by rehearsal to prepare us for leading the congregation in worship the following Sunday. Our worship music is selected to touch hearts and reinforce the message of the Pastor. We invite and encourage you to join this group but if you are more comfortable singing with the congregation, we certainly want you to "make a joyful noise".